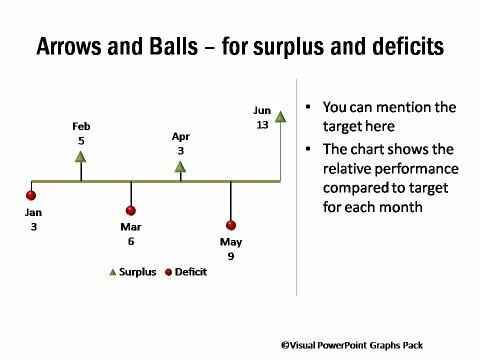 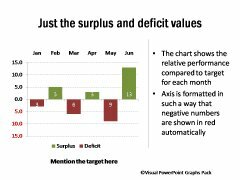 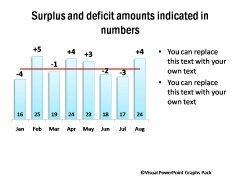 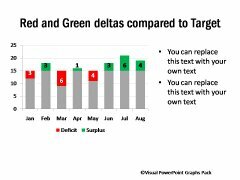 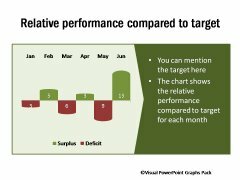 Description: The chart shows surplus and deficits compared to target. 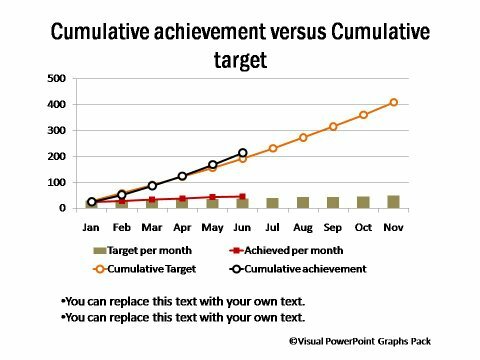 These kind of graphs are useful to be included in performance reports or budget reports. 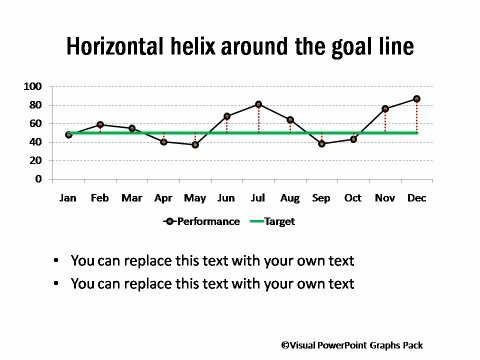 They provide clear and insightful visual clues to your audience. 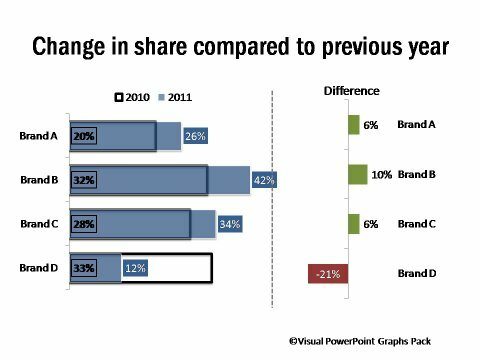 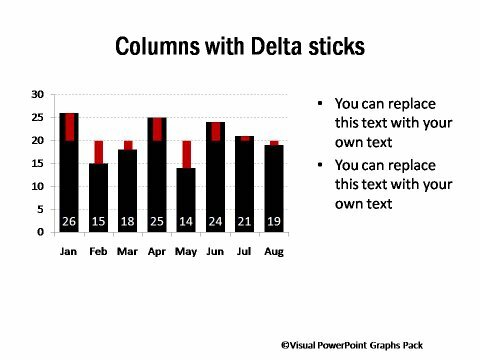 These graphs are very easy to use because you enter your data in raw format and the formatting is done automatically by the parameters we have already set in PowerPoint.